Being able to make near-real-time decisions is becoming increasingly crucial. To succeed, we need machine learning systems that can turn massive amounts of data into valuable insights. But when you're just starting out in the data science field, how do you get started creating machine learning applications? The answer is TensorFlow, a new open source machine learning library from Google. The TensorFlow library can take your high level designs and turn them into the low level mathematical operations required by machine learning algorithms. Machine Learning with TensorFlow teaches readers about machine learning algorithms and how to implement solutions with TensorFlow. It starts with an overview of machine learning concepts and moves on to the essentials needed to begin using TensorFlow. 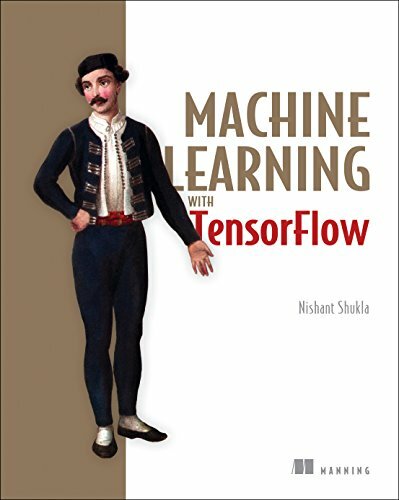 Each chapter zooms into a prominent example of machine learning. Readers can cover them all to master the basics or skip around to cater to their needs. By the end of this book, readers will be able to solve classification, clustering, regression, and prediction problems in the real world.